Essential WordPress Plugins can extend WordPress install to do almost anything you can imagine. There are plugins to assist you in Search Engine Optimisation (SEO), caching, formatting comments, you name it. 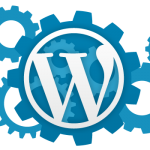 WordPress has been designed from the ground up to be lean, extensible, and minimize code bloat. Plugins offer a way to expand the functions and features so that each user can customise their site to their specific needs. There are now over 21,600 plugins available to extend the functionality of WordPress, but I will be covering some of the most popular plugins to get you started. Designed to improve site performance and user experience by caching every aspect of your site, reducing the download times and bandwidth usage. Speed is the most important factor on the web: it affects how long people will stay on your site and therefore can directly affect your income and search engines like Google factor in speed when ranking sites. WordPress SEO provides many tools to keep your site optimised for search engines. It incorporates everything from a snippet preview and page analysis functionality that helps you optimise your page content, create image titles, meta description templates, and XML sitemaps. If your rank in search engines matters to you, this plugin is a must. The Social WordPress plugin allows you to associate your Twitter and Facebook accounts with your site and it’s users. This plugin allows you to automatically broadcast a message in linked social networks whenever you publish a post or comment in your site. You can also aggregate comments and mentions and re-post them as comments on your blog post. If you are wanting to integrate your sites with Social media, this is a great place to start. Jetpack was developed by Automattic, the same people behind WordPress.com. Jetpack is actually a whole bunch of plugins bundled into one. It includes tools to help you with many things, including monitoring your site’s stats, creating Contact Forms, managing subscriptions and comments, and customizing your CSS. Better WP Security utilises the best WordPress security tricks and techniques and combines them in a single plugin thus ensuring that as many security holes as possible are patched without having to worry about conflicting features or the possibility of missing anything on your site. Allows you to backup your WordPress files and database quickly and easily. Provides many flexible options for storing backups including FTP, Dropbox, Google Storage, Email and many more. Akismet comes pre-bundled with WordPress, and is a SPAM filter for comments on your site. It checks all comments on your site against the Akismet web service and lets you review the spam it flags under your site’s “Comments” admin screen. Over time your site will accumulate dead links that go no where. This can be leave terrible first impressions on visitors to your site. Redirection is a free plugin for WordPress that automatically monitors changing URLs and creates 301 redirects for links that don’t go anywhere. By default WordPress does not limit login attempts to the administration area, this can leave your site vulnerable to brute-force attacks to obtain your password. “Limit Login Attempts” blocks an Internet address from making further attempts after a specified limit on retries is reached, making a brute-force attack difficult or impossible. WPtouch is a mobile plugin for WordPress that automatically transforms your site into an application-like theme, optimizing your site for mobile devices like the iPhone, iPod touch, Android mobile devices, and BlackBerry OS6 mobile devices. This plugin helps you deliver a fast, user-friendly and stylish version of your site to mobile users, without modifying a single line of code or affecting your regular desktop theme. These essential WordPress plugins are a mere sample of what WordPress can be made to do. WordPress has been built to be extremely flexible and has a very large community of developers constantly pushing the boundaries and creating more plugins. If you think of any functionality that you are wanting in WordPress, do a quick search and it’s pretty likely someone has already build a plugin to suit your need. Always remember to keep your plugins and WordPress itself updated to the latest versions. This is very important not just to get the latest features, but to ensure that all bugs are fixed and security vulnerabilities are patched. If you are using any amazing WordPress plugins not listed above don’t hesitate in sharing them in the comments below.